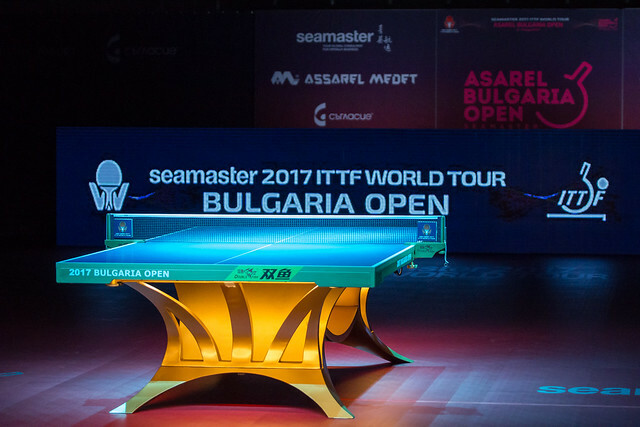 Puerto Rican star Adriana Diaz has kept herself in the hunt for the Under 21 Women's Singles title at the Seamaster 2017 ITTF World Tour Asarel Bulgaria Open, after she posted a thrilling five games victory over Alina Nikitchanka in the quarter-finals of the competition (11-13,11-6,11-6,12-14,11-5) which took place on the evening of Tuesday 15th August. Alina Nikitchanka headed into the match as Europe’s sole remaining competitor in the tournament, but despite putting up a brave effort the Belarusian player couldn’t prevent Adriana Diaz from extending her journey in the Under 21 Women’s Singles event. Awaiting Adriana Diaz in the last four is a tough fixture against Japan’s Miyu Maeda, who put in a terrific display in the quarter-finals stage defeating Asuka Sasao by a three games to nil scoreline (11-9, 12-10, 11-3). The top half of the semi-finals draw sees Kyoka Kato meet Mizuki Morizono in an all-Japanese encounter. Demonstrating an air of calm Mizuki Morizono comfortably negotiated her quarter-finals match against Chinese Taipei’s Huang Yu-Chiao (11-7, 11-6, 11-6) while Lin Chia-Hsuan, who also represents Chinese Taipei, gave Kyoka Kato a scare as the Japanese contestant was pushed right down to the wire (13-11, 11-9, 11-13, 10-12, 11-9) before eventually achieving victory. The Under 21 Men’s Singles competition is also guaranteed to have at least one Japanese representative in the final, following victories for Mizuki Oikawa and Yuma Tsuboi in the lower half of the draw. However, both Mizuki Oikawa and Yuma Tsuboi came under some pressure in their last eight matches as Lin Yun-Ju of Chinese Taipei (11-5, 8-11, 11-6, 5-11, 11-6) and Japan’s Koyo Kanamitsu (12-14, 11-8, 12-10, 9-11, 11-3) both came to within a single game from taking the available spots in the penultimate round. India’s Manav Vikash Thakkar successfully progressed through to the last four with a straight games win against Hungarian player Adam Szudi (11-6, 11-8, 11-8) and will oppose Tomas Polansky of the Czech Republic, who required the full games distance to see off Belarusian contestant Aliaksandr Khanin (6-11, 11-8, 11-7, 11-13, 11-4). Both the Under 21 Women’s Singles and Under 21 Men’s Singles competitions will be brought to a close on Wednesday 16th August.